Apache Cassandra is a free and open source database management system based on NoSQL. It is designed to handle large amount of data across many commodity servers. It was released by Facebook on Google code in July, 2008. In April 2009, it became an apache incubator project. Its development was started by Avinash Laxman and Prashant Malik for Facebook inbox search feature. 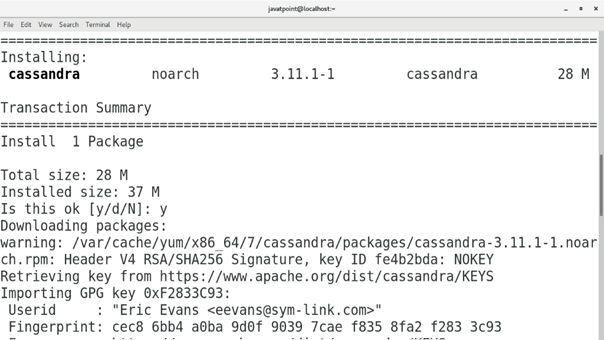 In this tutorial, we will install Cassandra on CentOS. 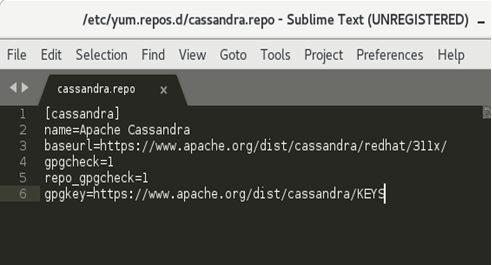 Create a file as /etc/yum.repos.d/cassandra.repo and place the following code inside it. 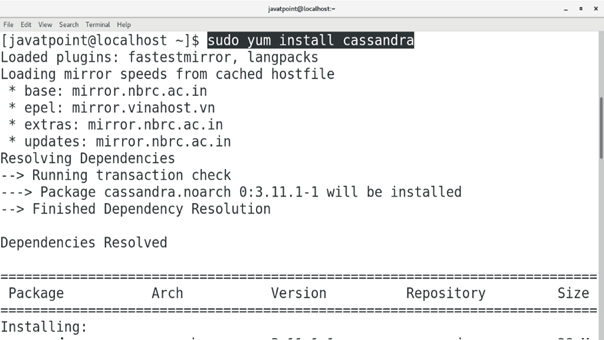 Run the following command to install Cassandra. Use the following command to start the service of Cassandra. Basically, Cassandra works on CQL which is a database query language other than SQL. 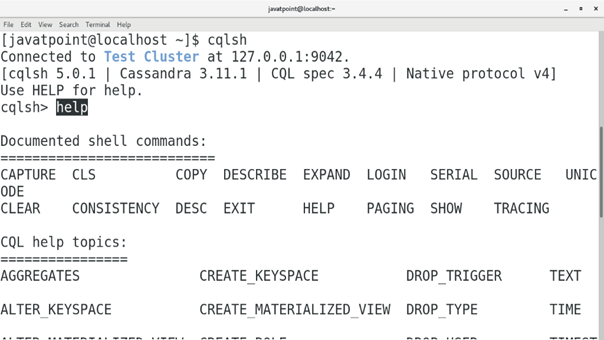 In Cassandra database, we can open the interface on the terminal by executing cqlsh which is an executable script file. Simply type cqlsh on the terminal to open a CQL shell. 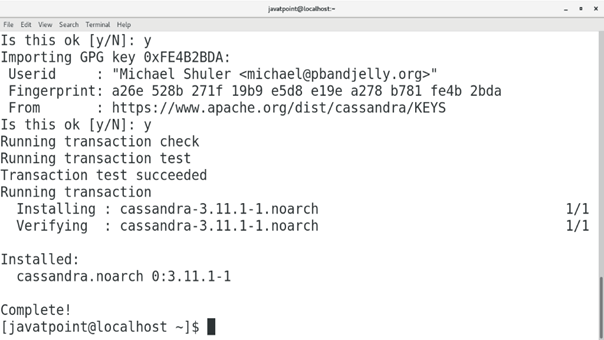 We can ask for help on CQL shell to get the help in operating Cassandra Database. Use the following command to stop Cassandra database server. Hence, we have installed and get started with Apache Cassandra.